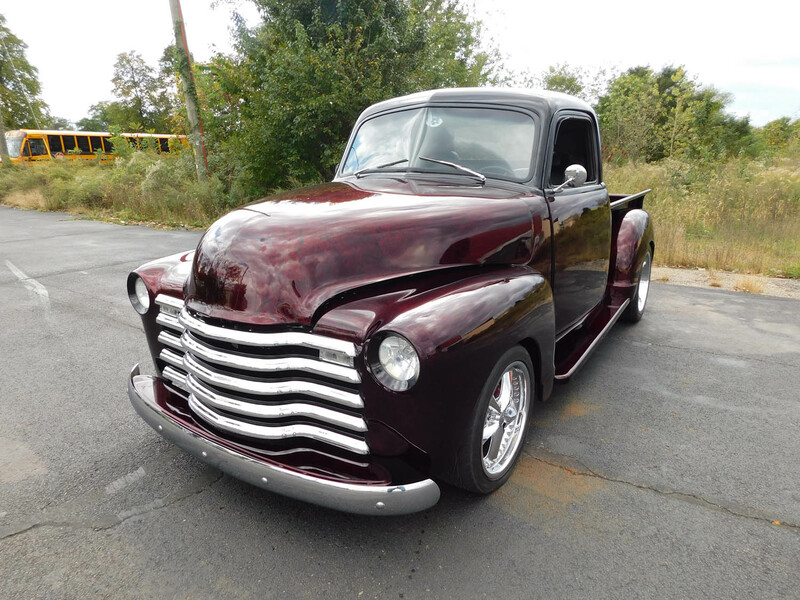 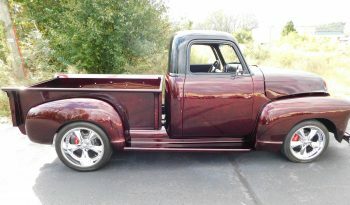 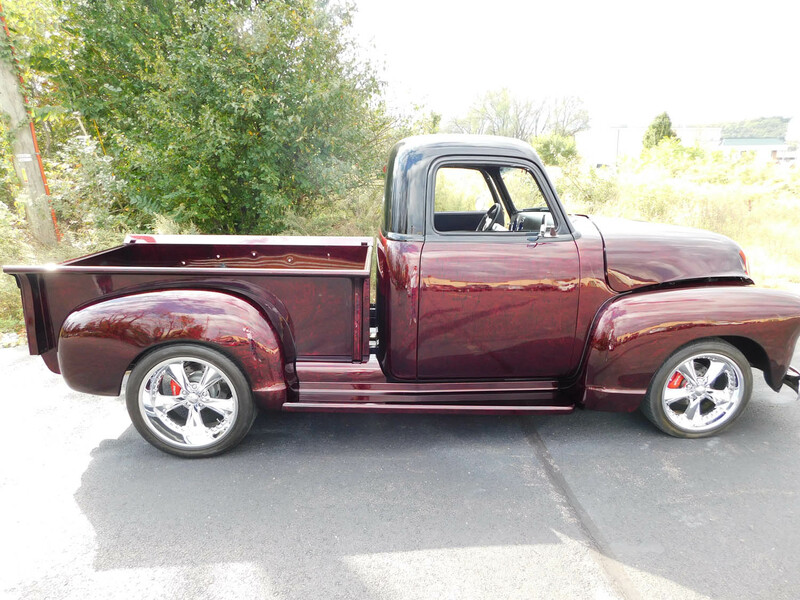 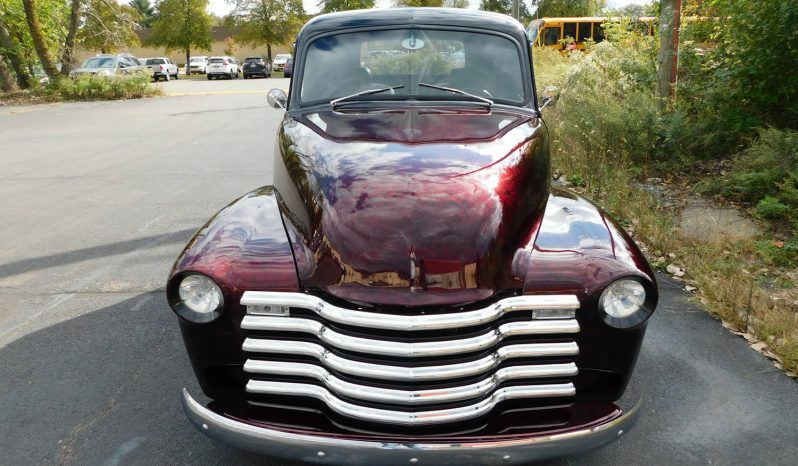 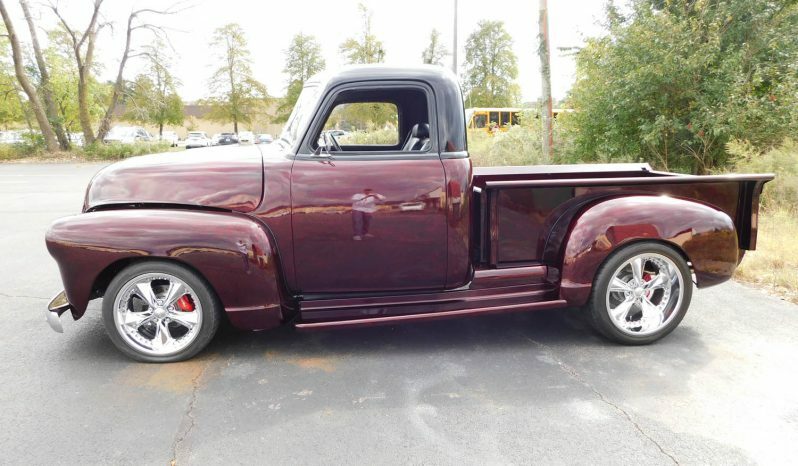 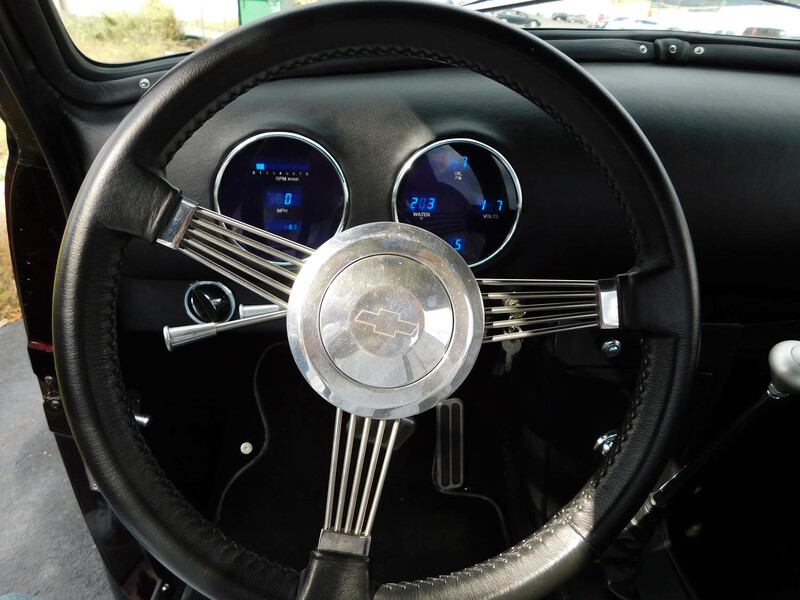 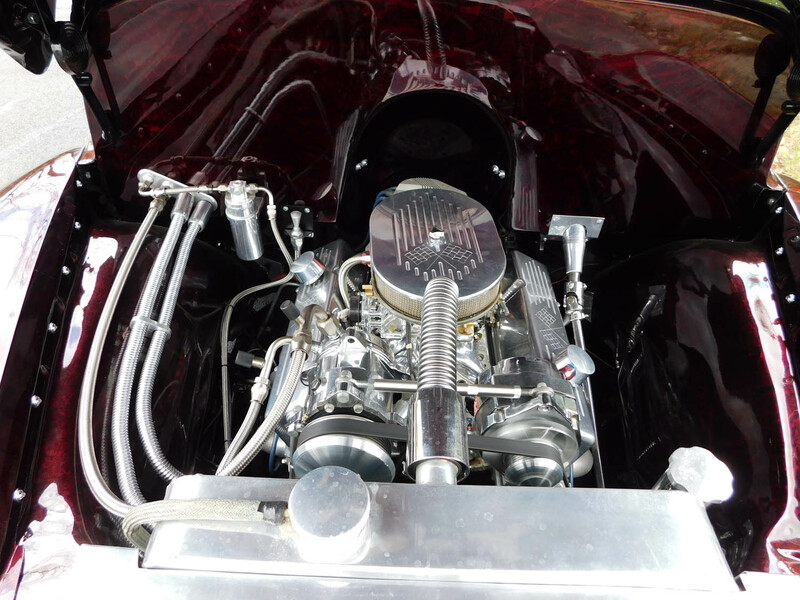 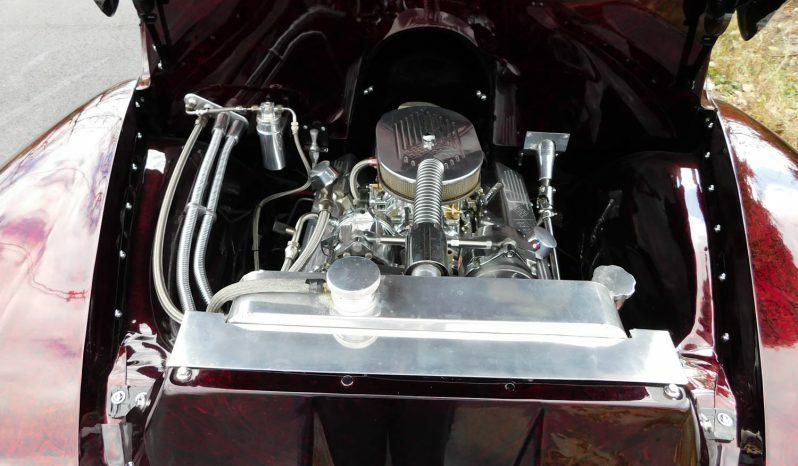 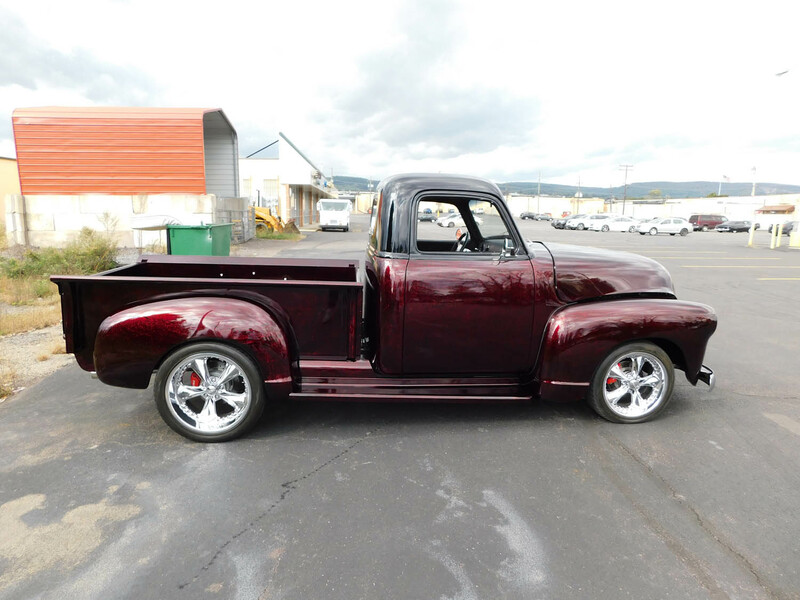 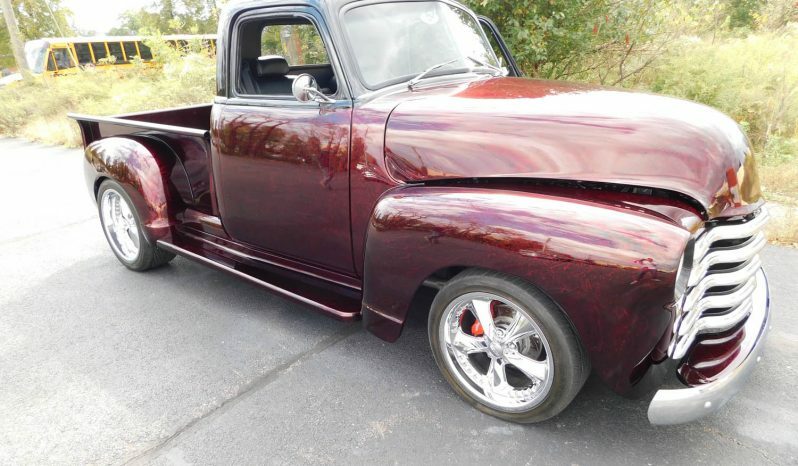 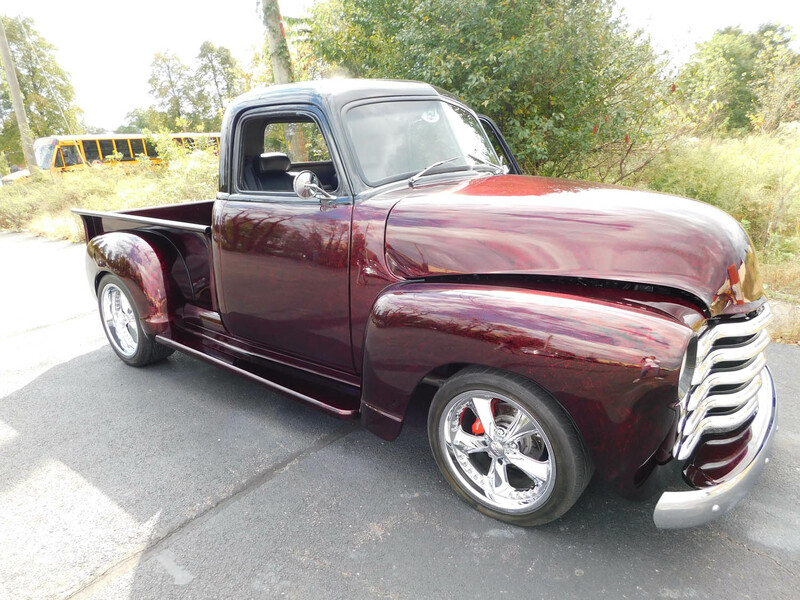 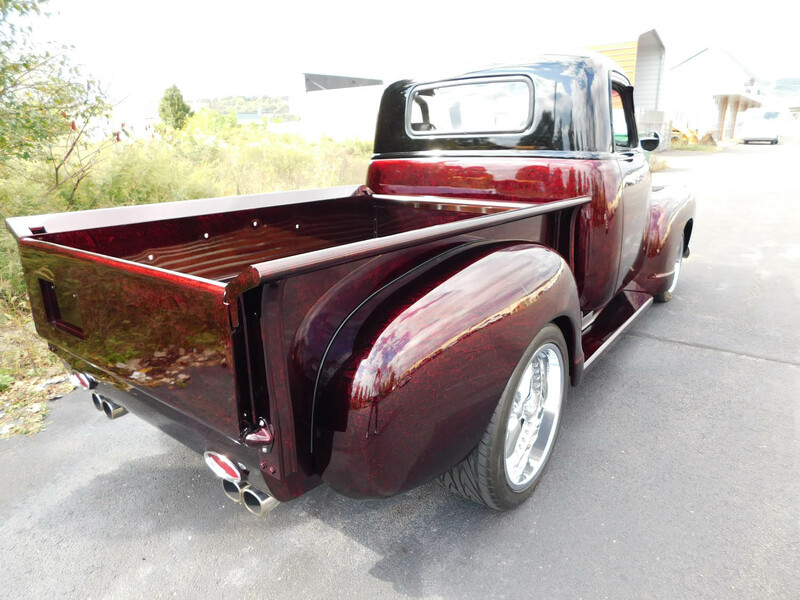 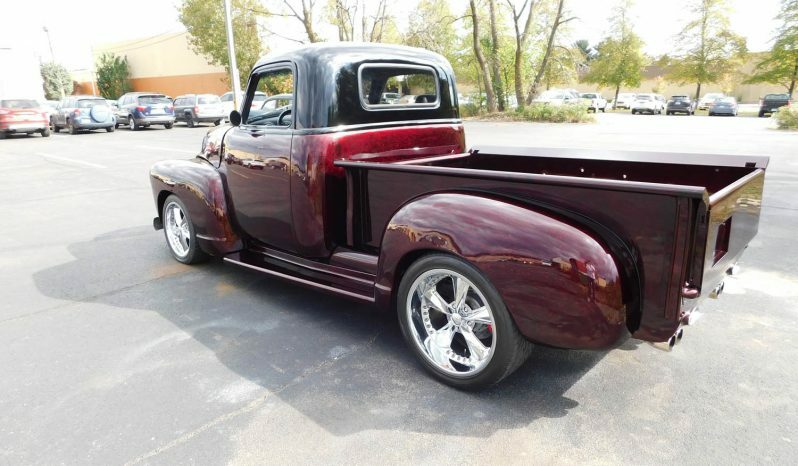 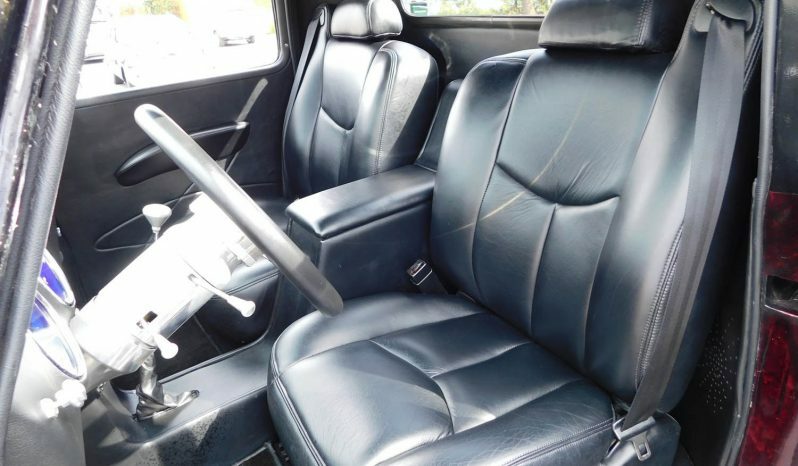 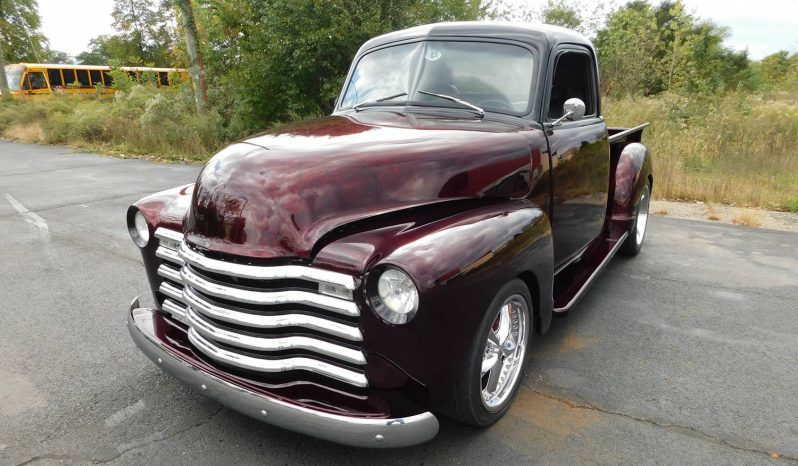 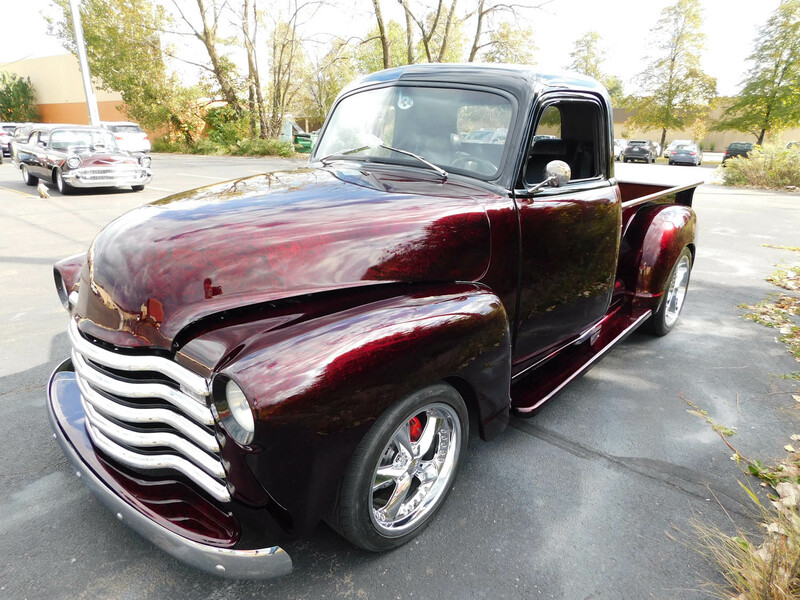 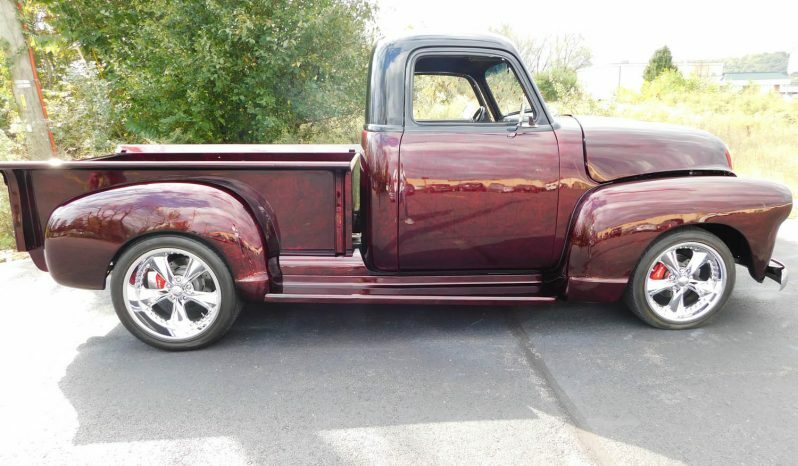 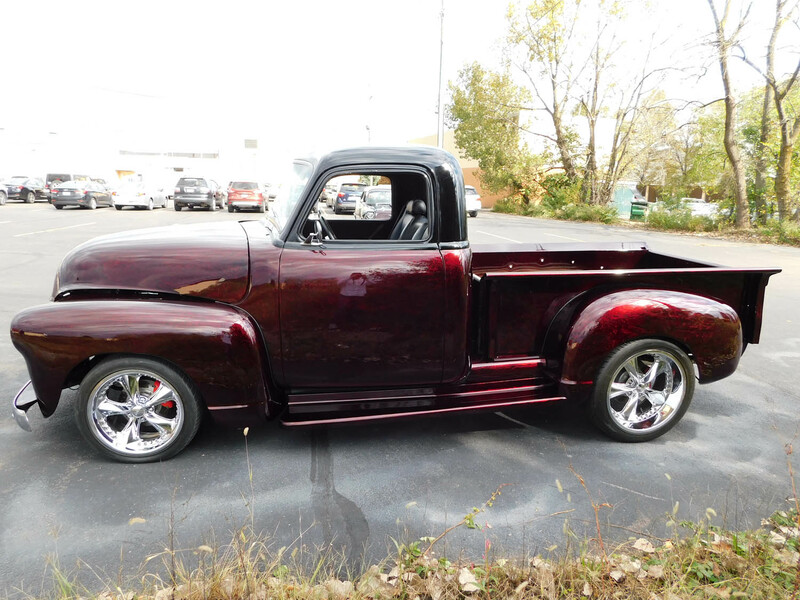 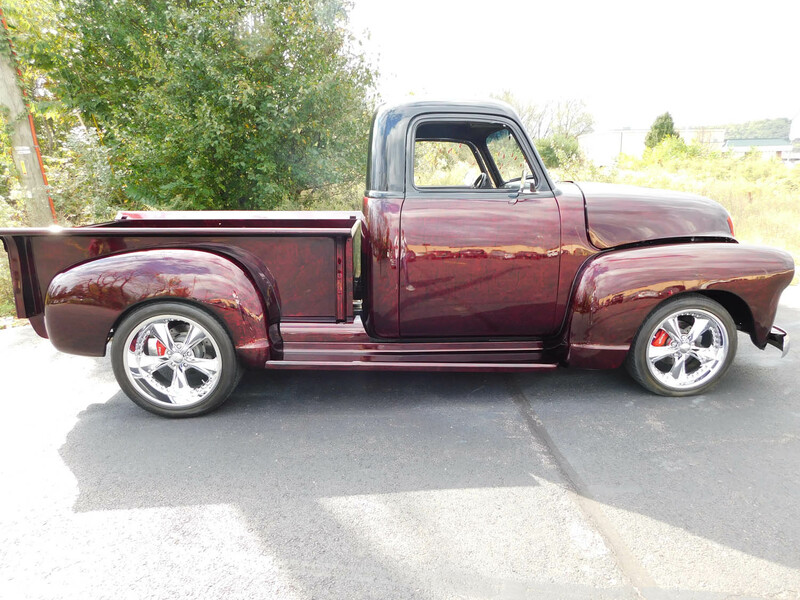 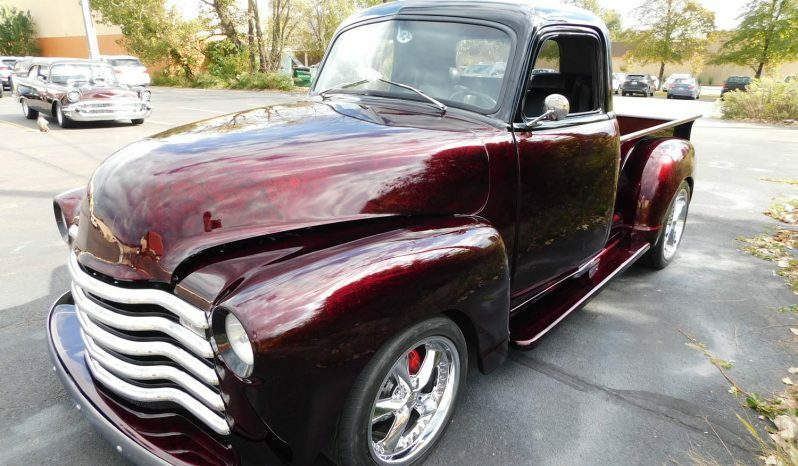 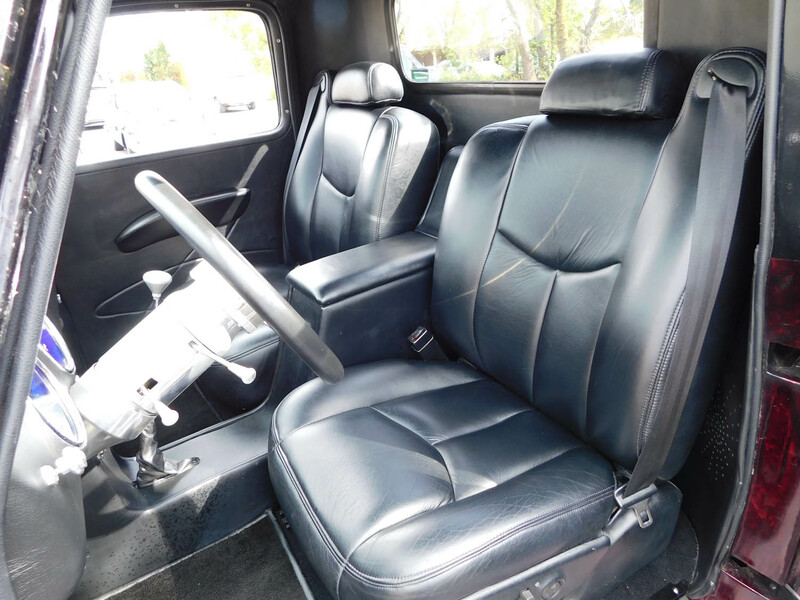 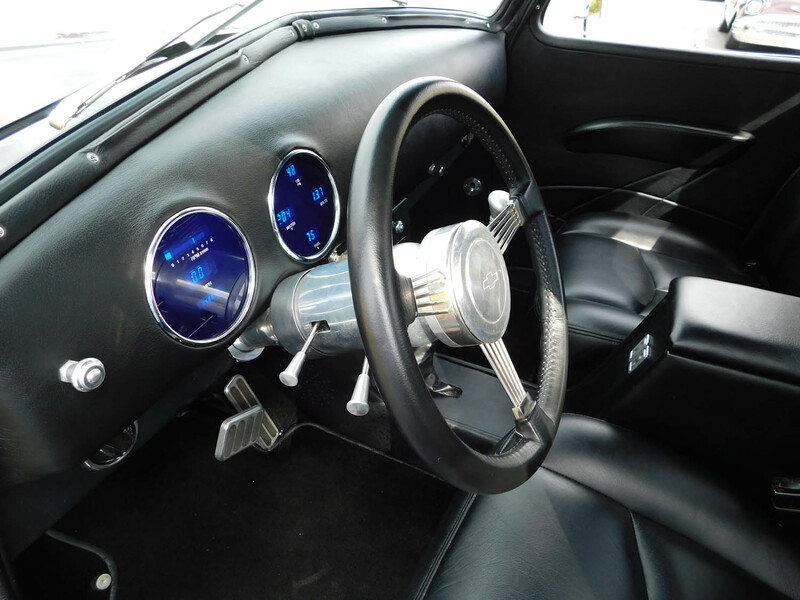 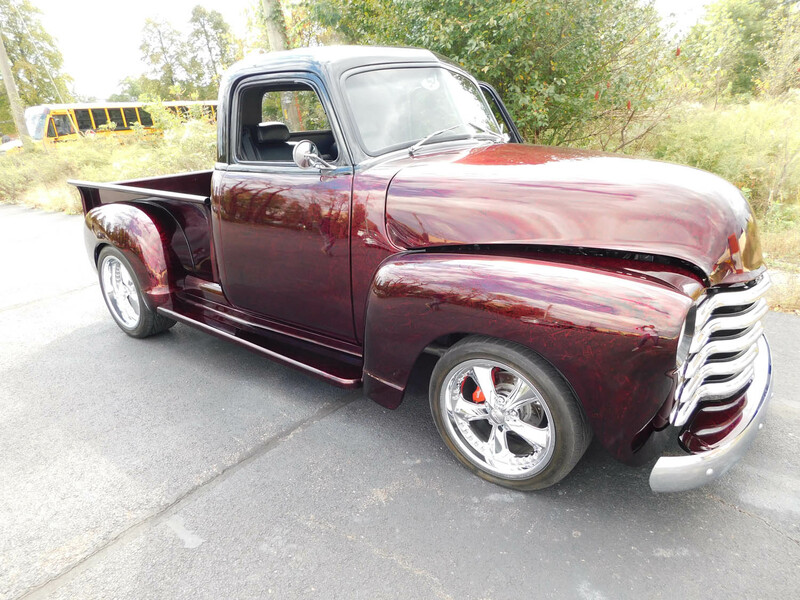 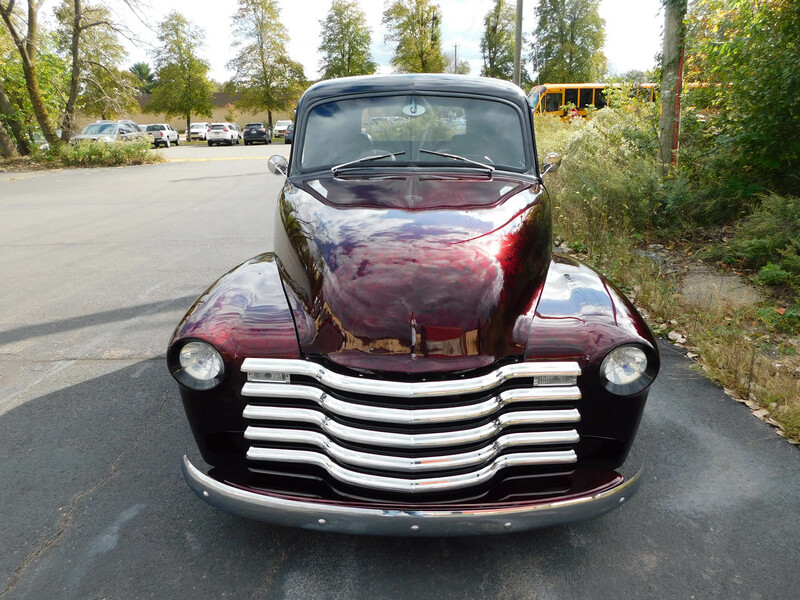 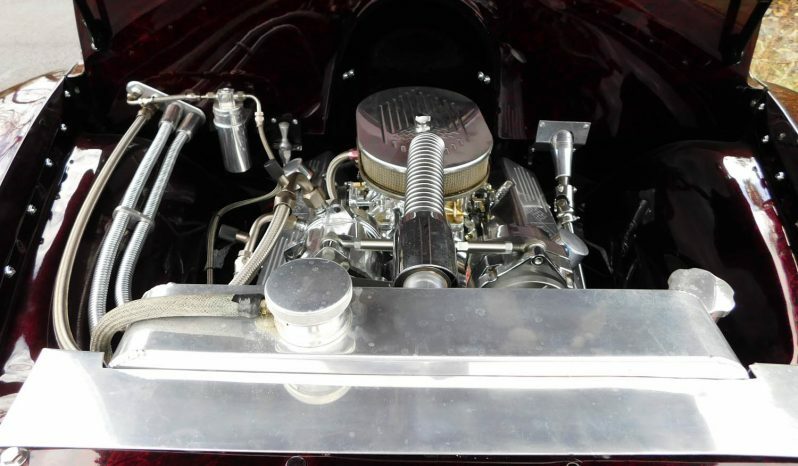 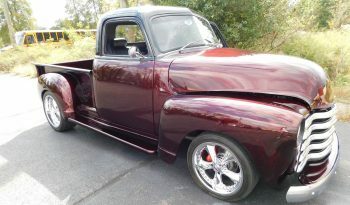 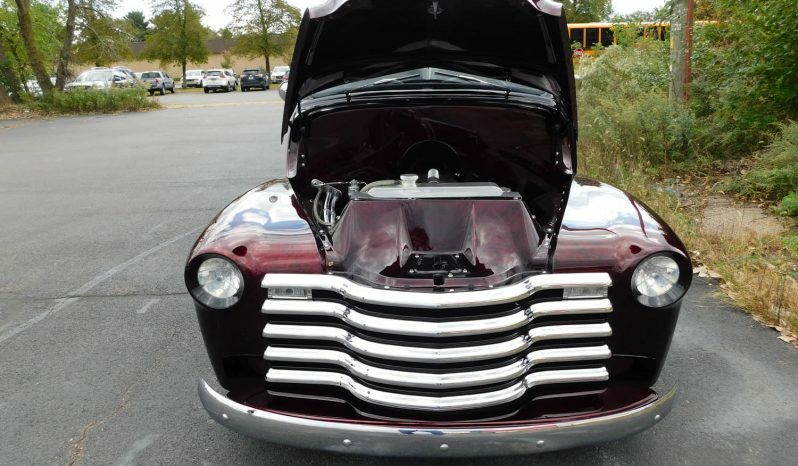 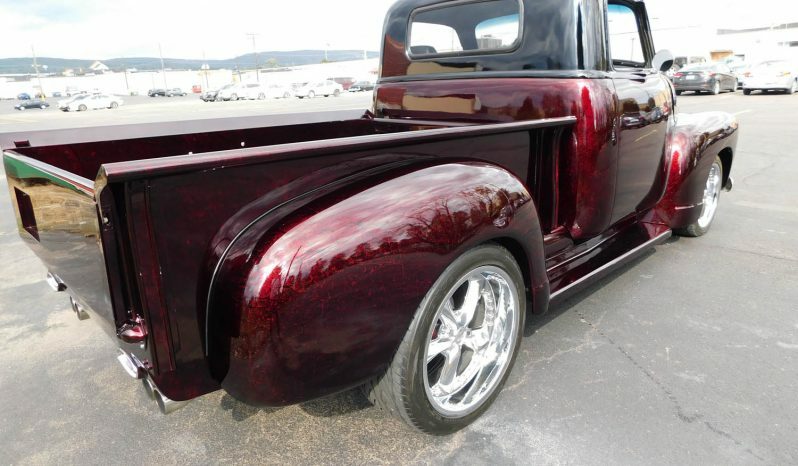 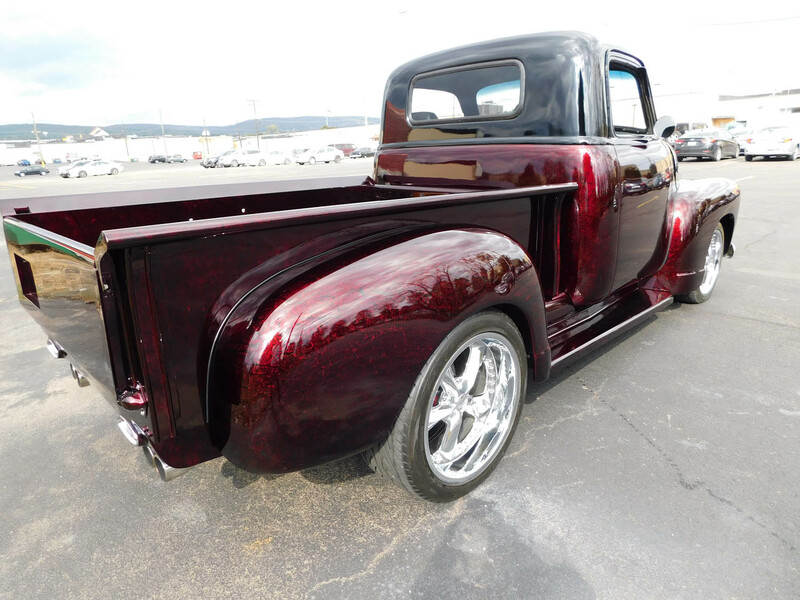 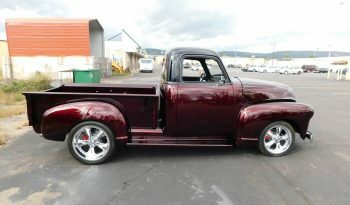 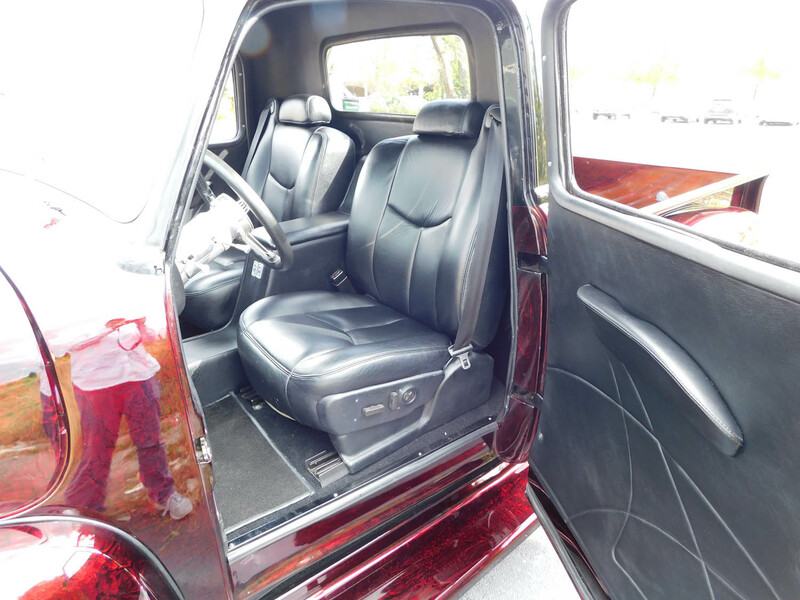 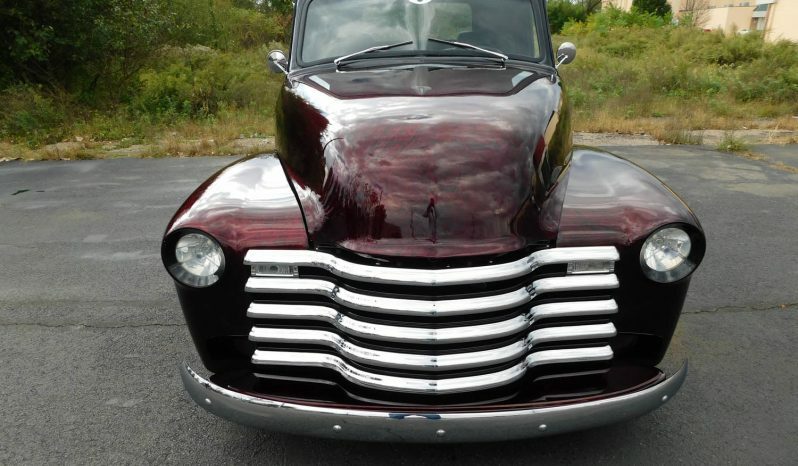 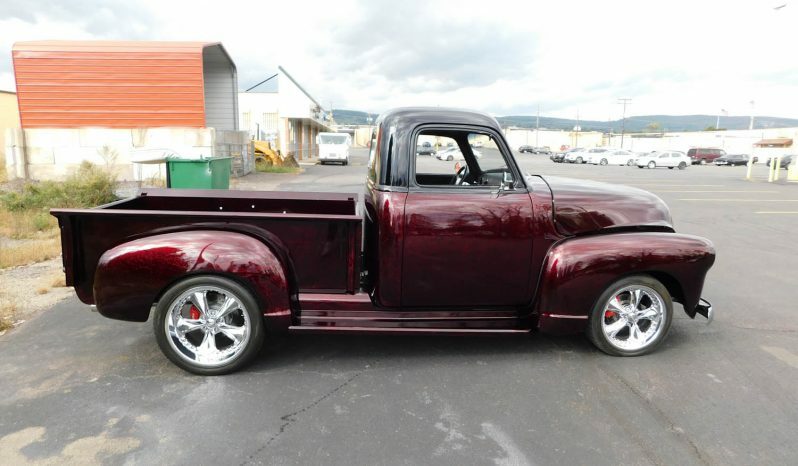 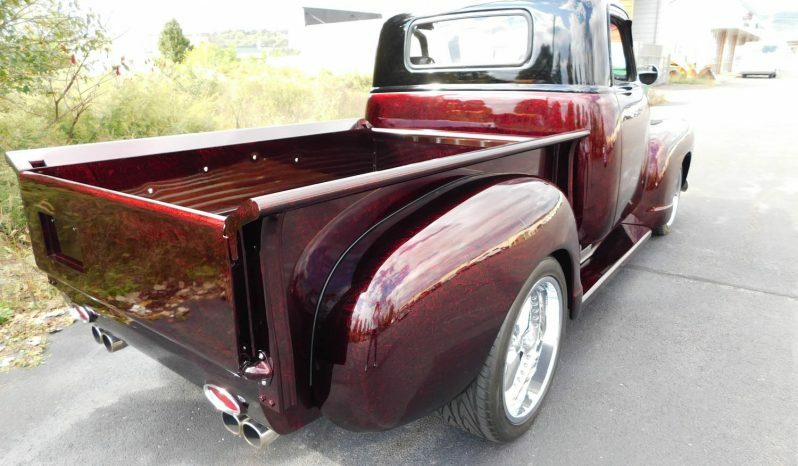 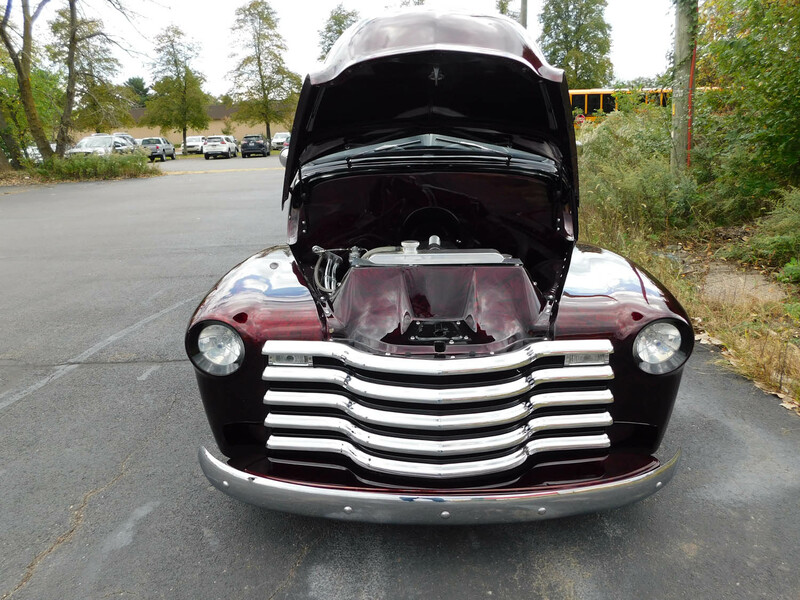 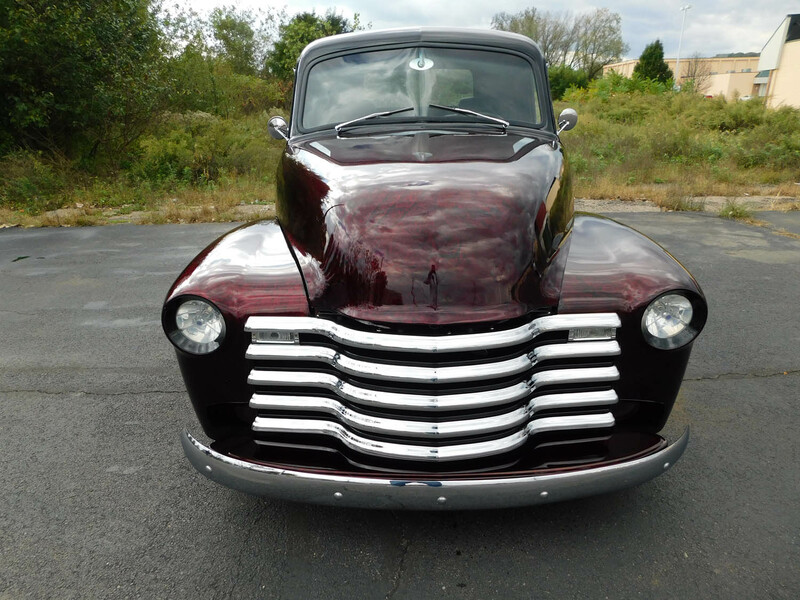 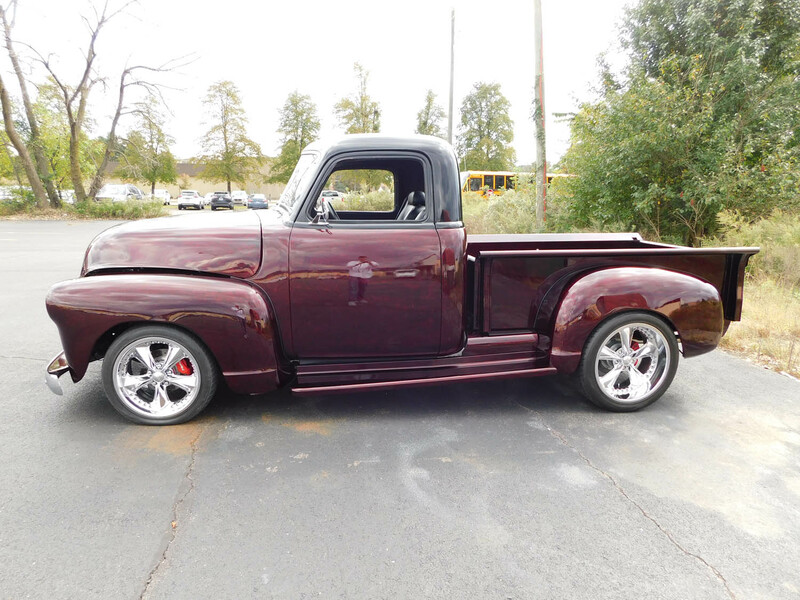 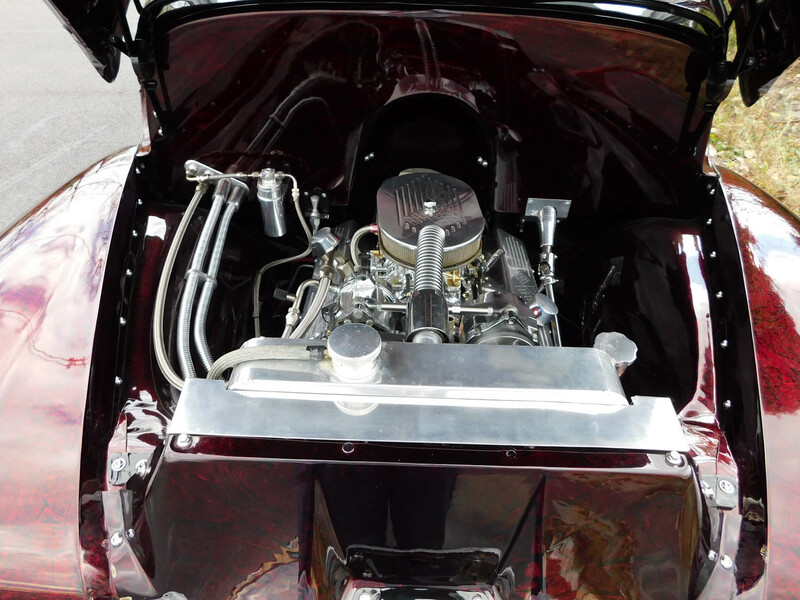 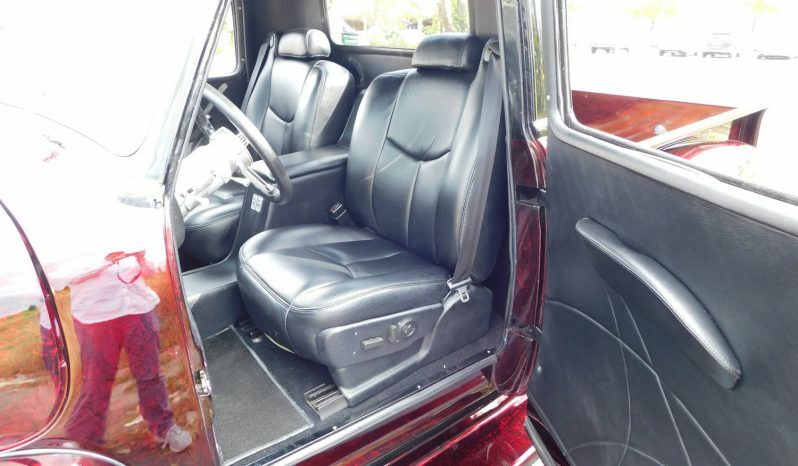 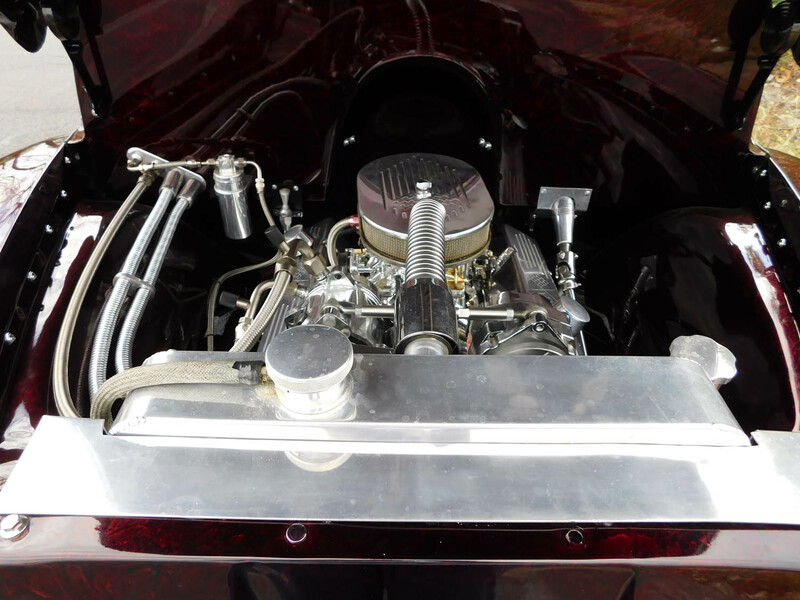 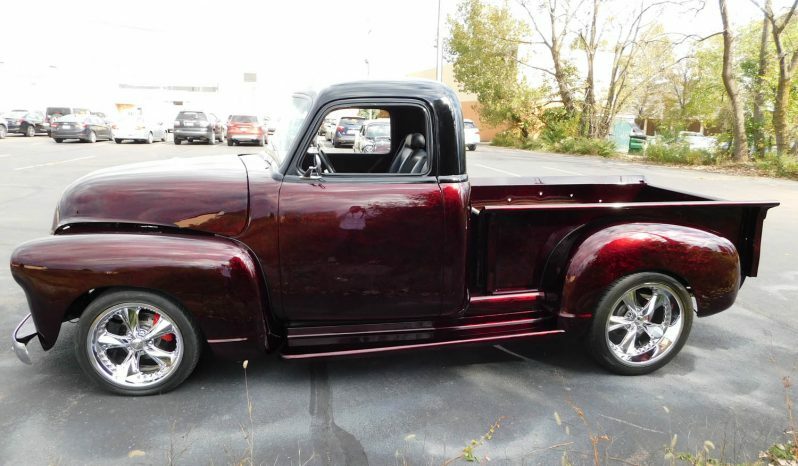 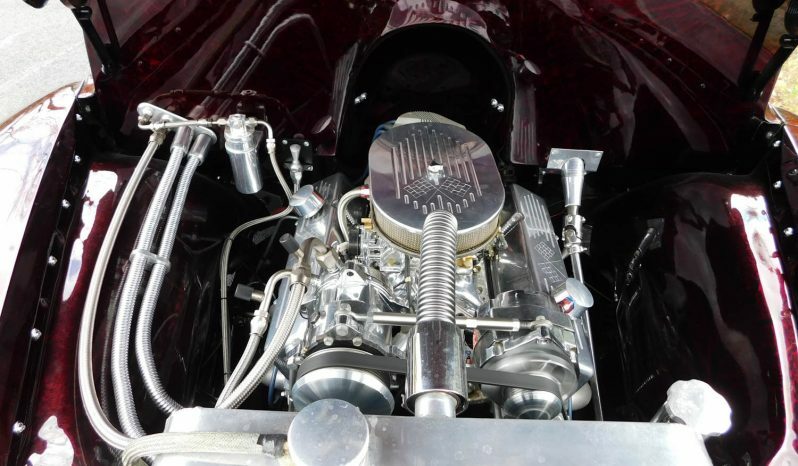 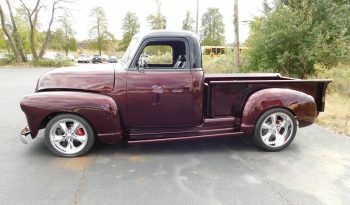 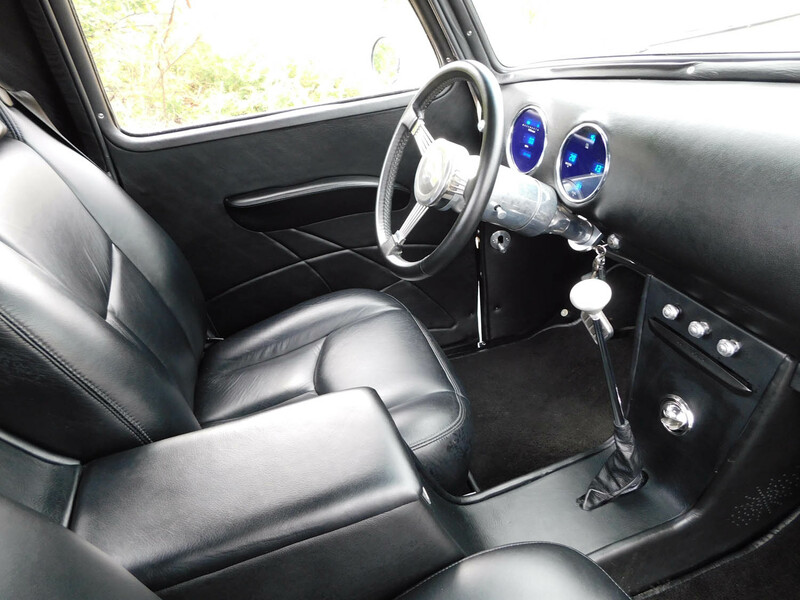 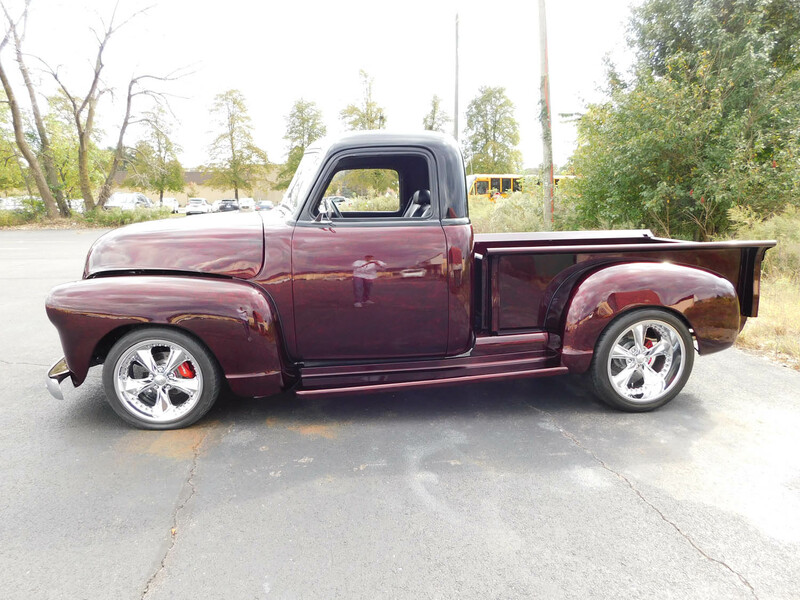 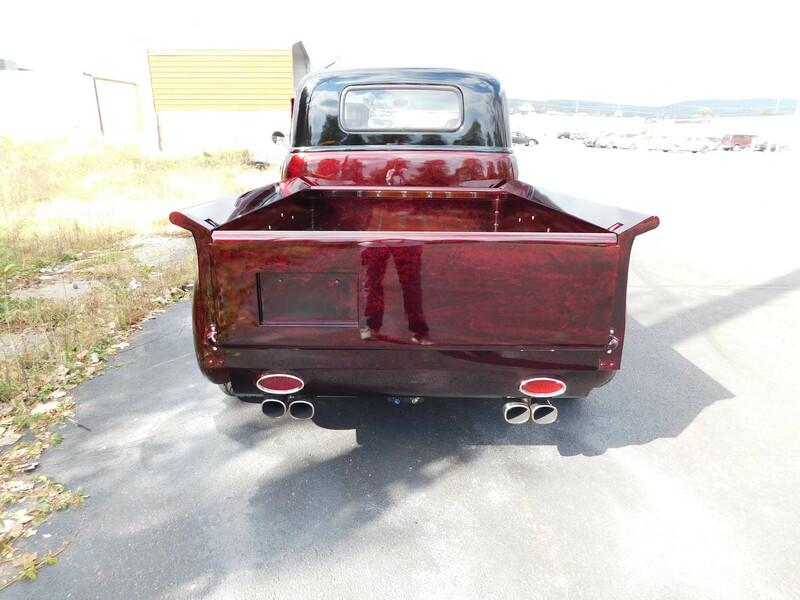 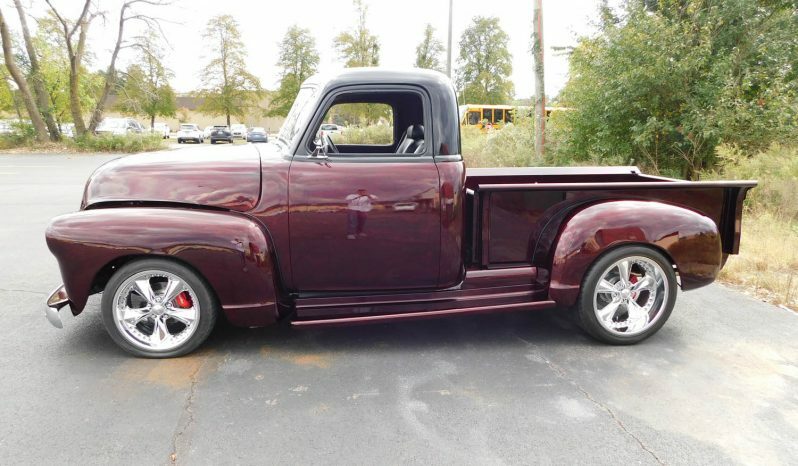 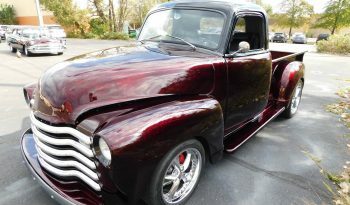 This vehicle has undergone a two-year complete frame-off restoration. 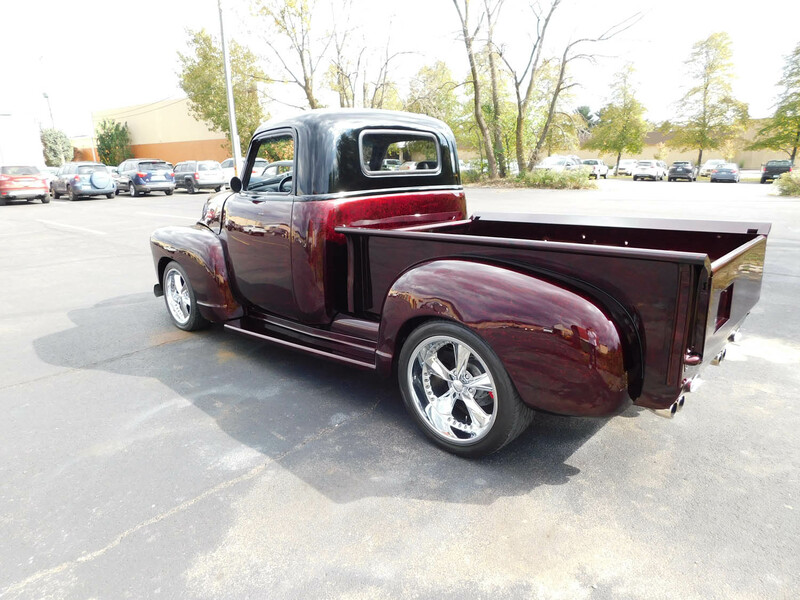 Foose 20″ wheels with Wilwood kisc brakes, 350cid crate engine and 700 R4 transmission. 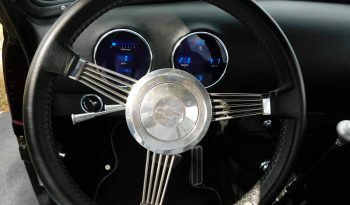 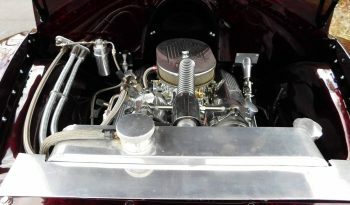 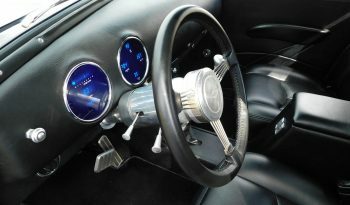 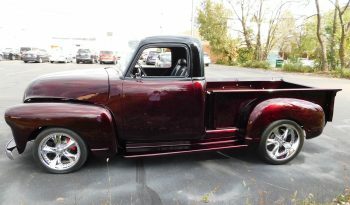 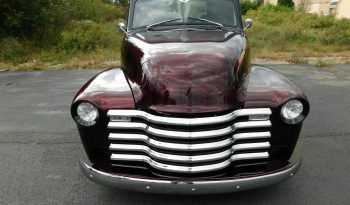 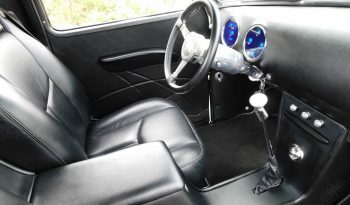 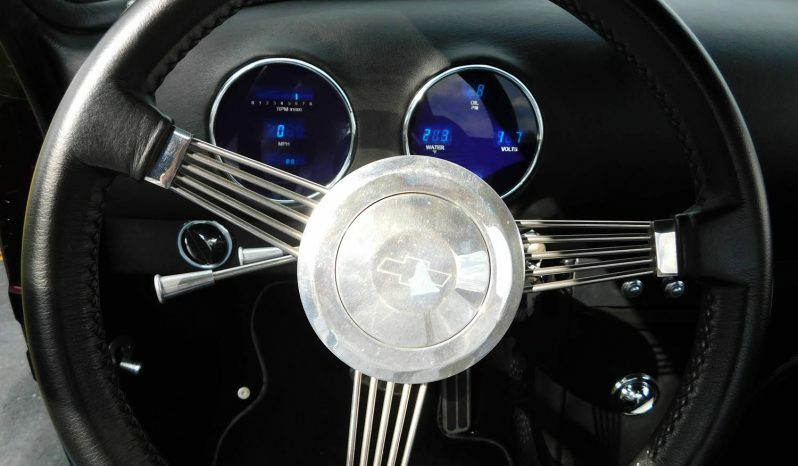 Vehicle has boxed frame with Camaro front end and Trans Am rear end, Vintage Air, Dakota Digital dash, tilt steering column, power windows, power steering, remote suicide doors, shave one-piece windshield, frenched headlights and Corvette exhaust. 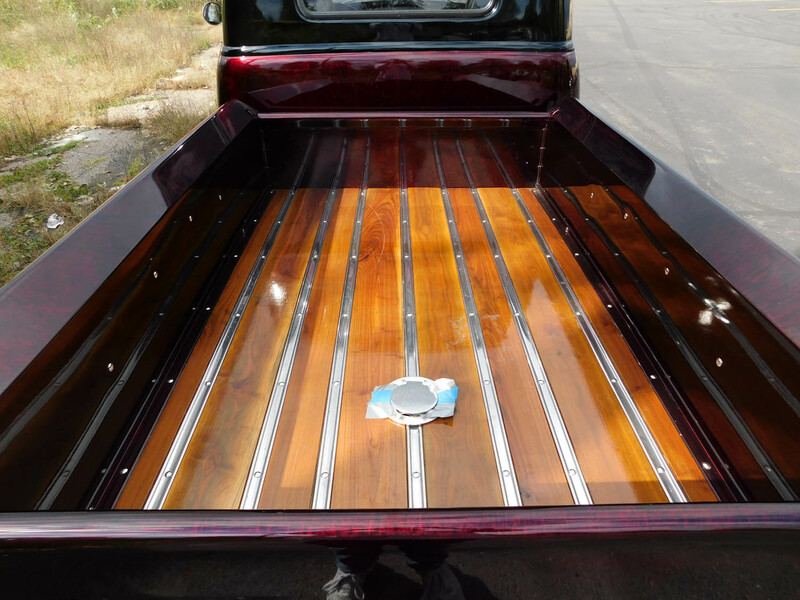 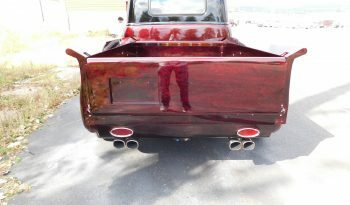 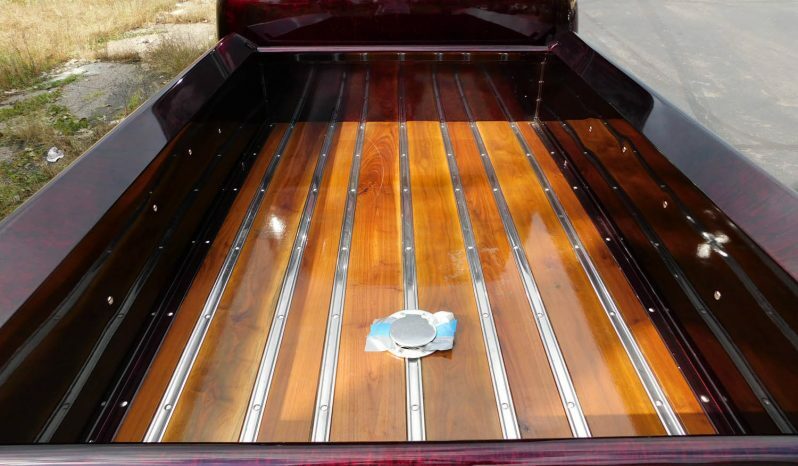 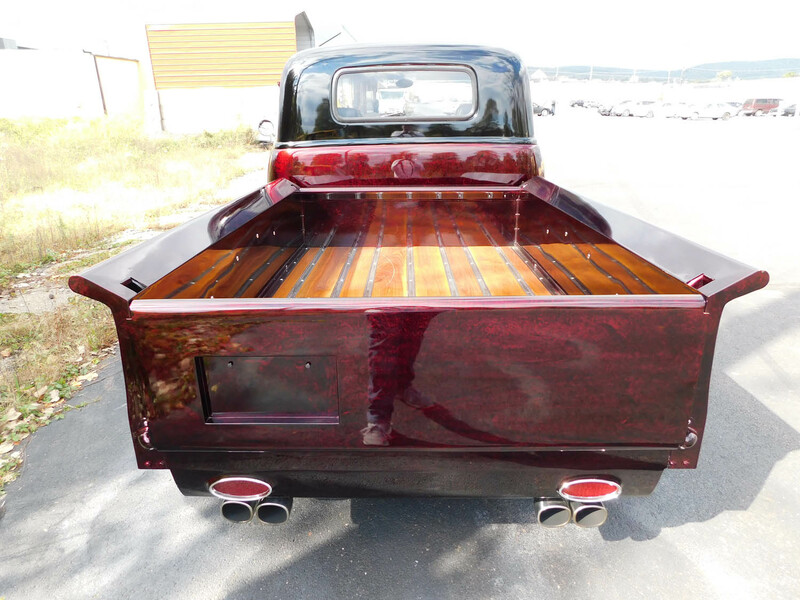 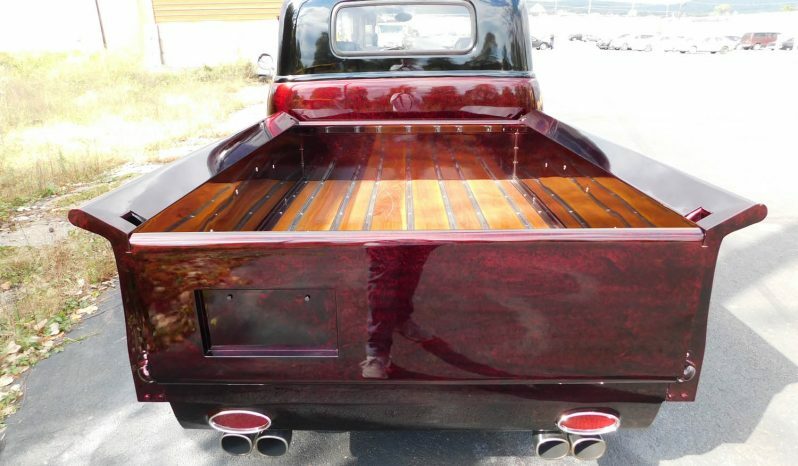 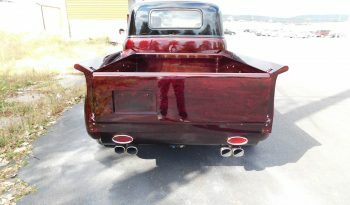 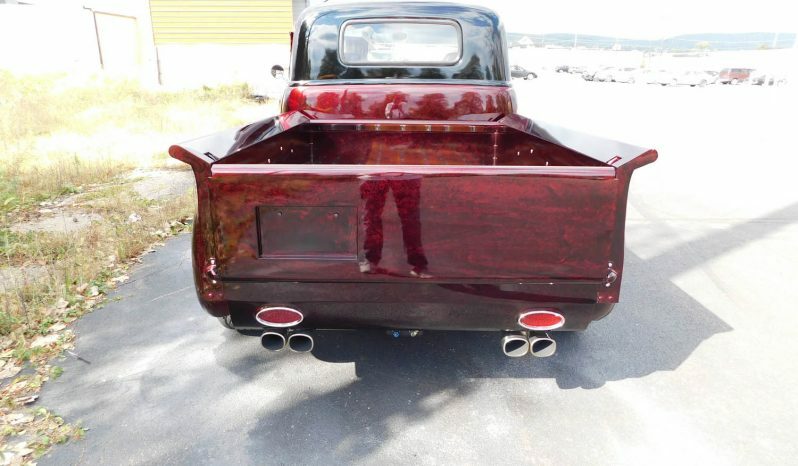 Rear bed is finished in polished walnut. 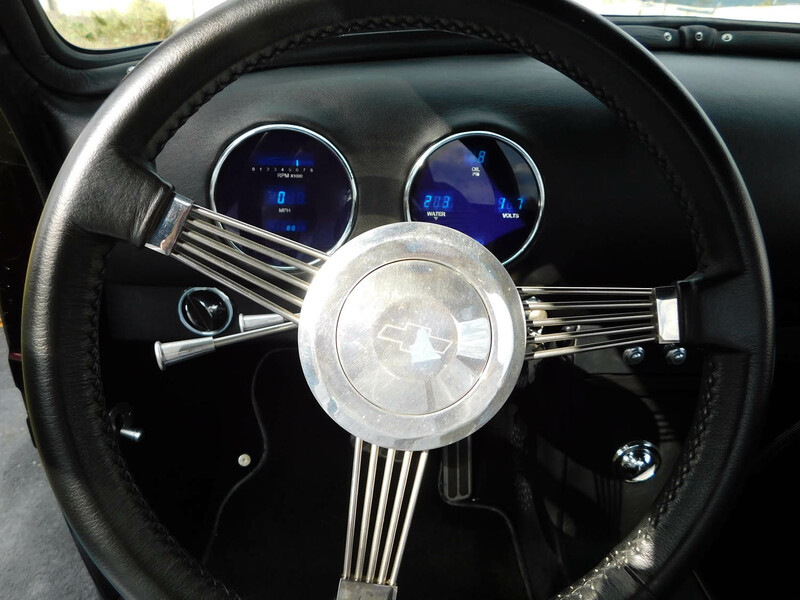 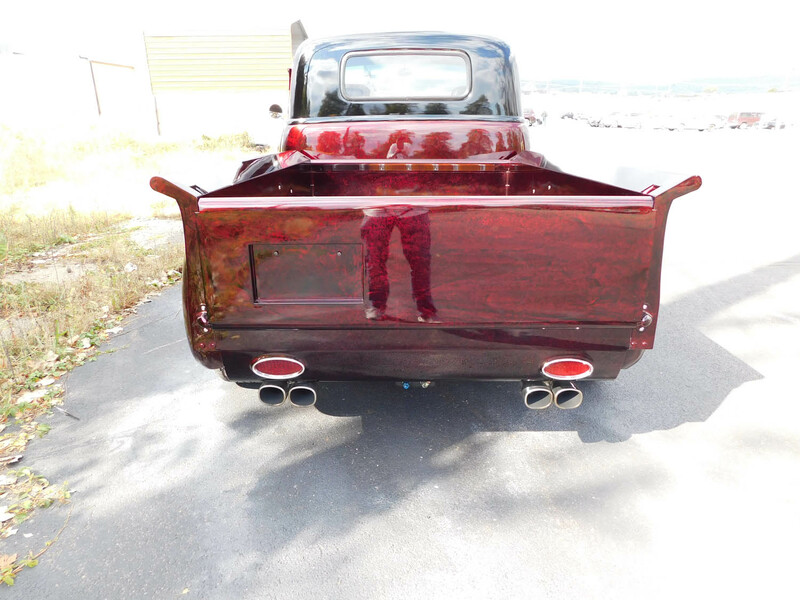 This custom truck runs and performs great on normal highway driving.